I’ve made it a new goal to actually eat breakfast daily. Most of the time that means oatmeal with dried fruit and nuts in it. 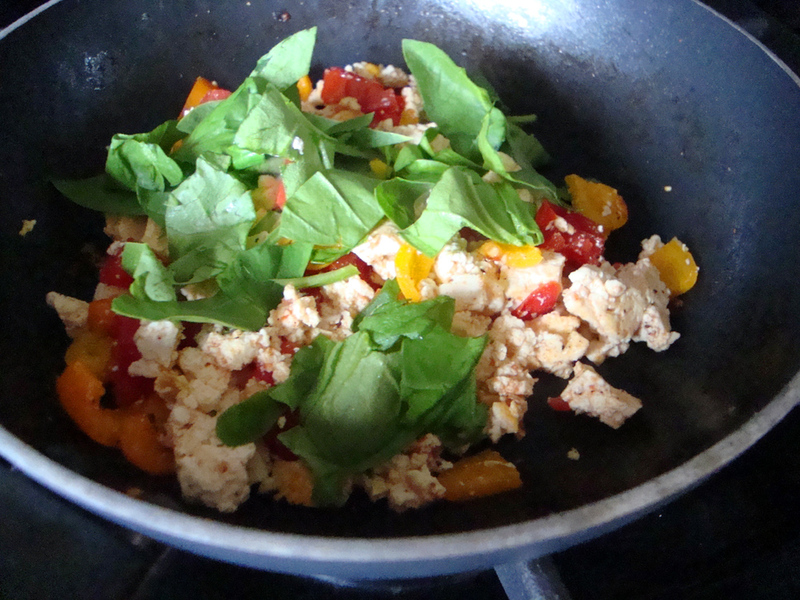 But this is my favorite new breakfast – a tofu scramble!! 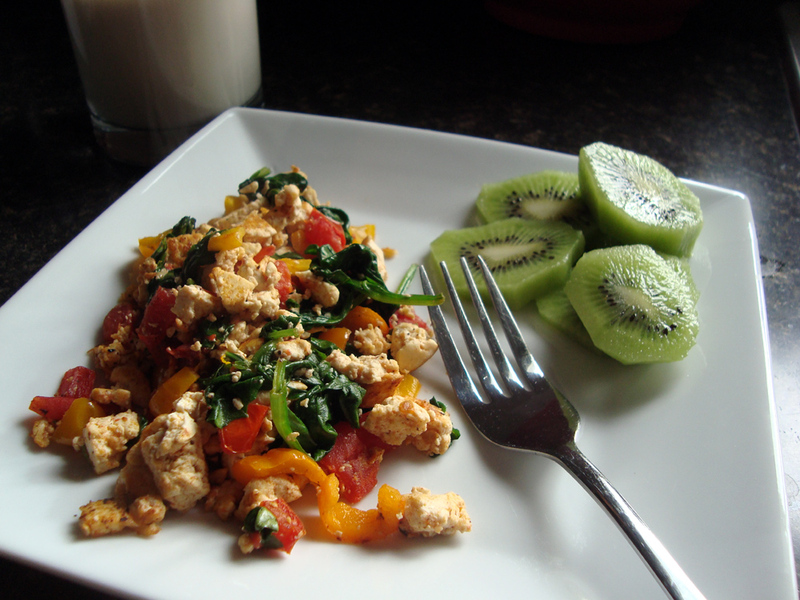 This will give you energy to last til lunch and it’s super fast and tasty! 2. 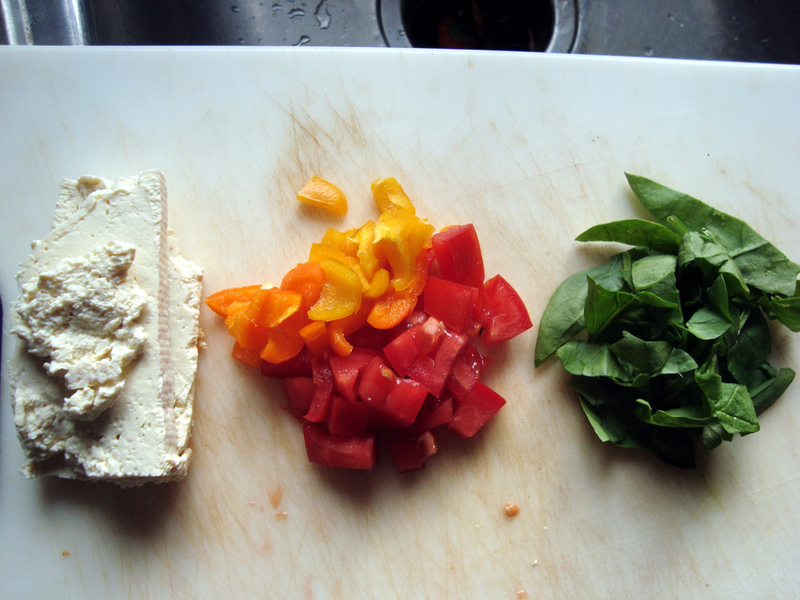 Saute (if using spinach, put it in right before serving). (For anyone who cares, this entire meal pictured is 2 points on Weight Watchers Points Plus). For a little more substance, you could wrap in a tortilla. Totally loving this meal right now!